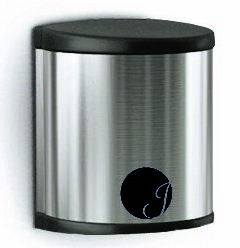 Two-tone black and grey soap dispenser. Valve dispenses all-purpose soaps. 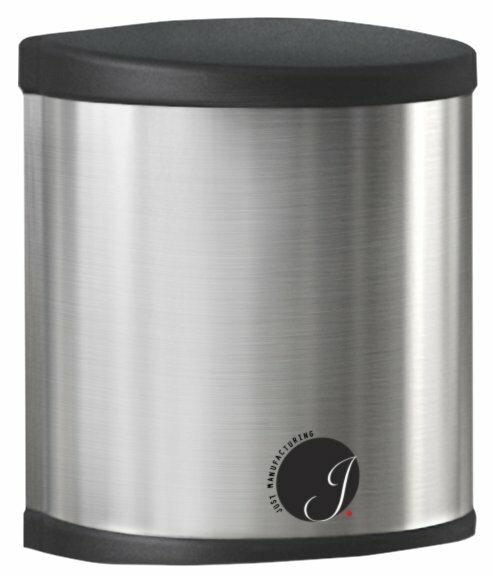 Vandal resistant lid has keyless locking device, pivots up for easy top filling. Translucent container provides visible soap level. 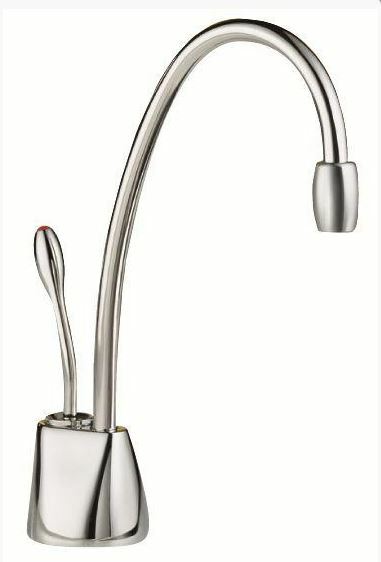 Instant hot water dispenser with gooseneck spout. 1/2 gallon tank, 100 cup per hour capacity. Includes copper water inlet tube and electrical plug-in. 120 volts, 50/60 cycle, 10.8 amps, 1300 watts. O.D. of tank 6-1/16"x5-3/4"x11-13/32" high. Water temperature 190◦F. 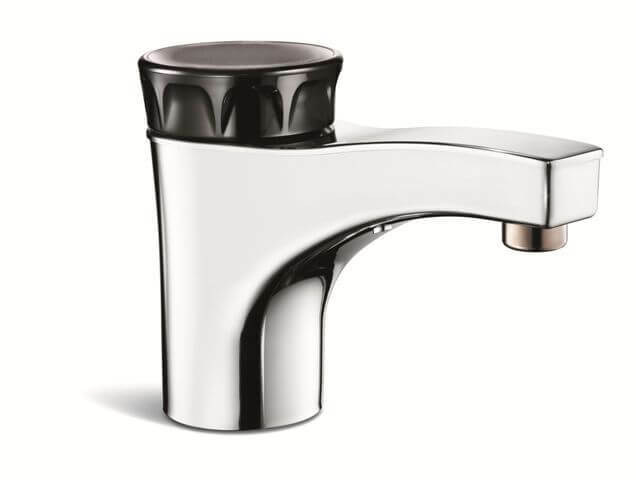 Instant hot water dispenser with chrome plated faucet. 1/2 gallon tank, 60 cup per hour capacity. Includes copper water inlet tube and electrical plug-in. 115 volts, 50/60 cycle, 6.5 amps, 750 watts. O.D. of tank 6-1/16"x5-3/4"x11-13/32" high. Water temperature 190◦F. 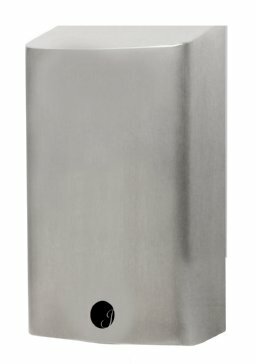 18 gauge type 304 stainless steel work surface. Withstands hot utensils and pans Install using Grip-Rim PLUS clips (included) and channel (integral). Available in 4 sizes: 9”x9”, 12”x15”, 16”x16”, 9”x18”. 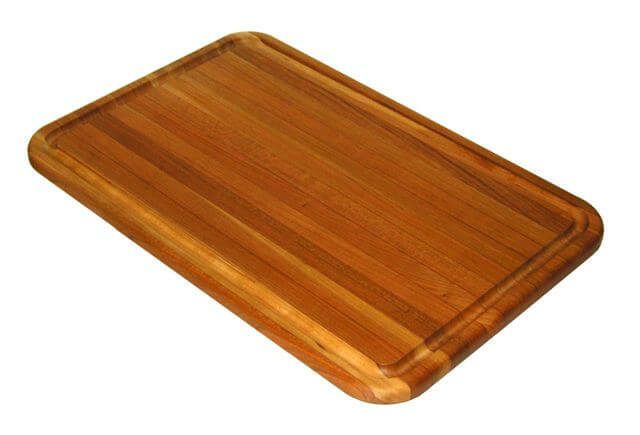 Hardwood cutting board with juice groove. 2-3/4” radius corners. Overall size 11”x17”. Use with bowl I.D. as follows: 11-1/2”x16”, 14”x16”, 16”x19”, 16”x21”, 16”x22” and 16”x28”. 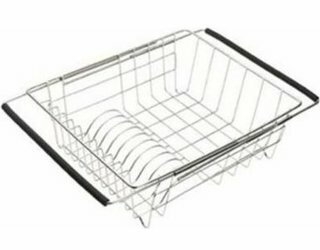 Stainless steel dish rack - rust resistant. Utensil holder - removeable with dividers. Drain tray with rimmed edge. 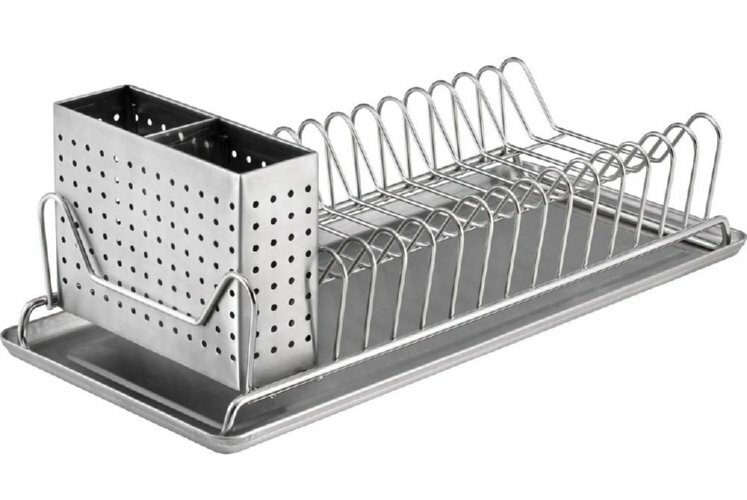 Overall size: 18-1/2"x12-3/4"
Compact stainless steel dish rack - rust resistant. Utensil holder - two compartment - removeable. Drain tray with rimmed edge. 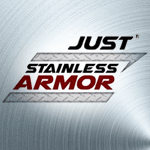 Overall size: 14" x 6-1/2"
Stainless steel adjustable in sink dish rack with extendable arms. 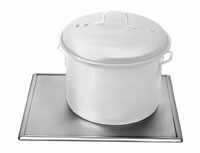 Drainer measures 13-3/4" x 11-1/2" x 5". Arms extend overall size to 27-1/2"
Deck mounted pedestal glass filler. Chrome plate finish. Duo action, self closing and continuous flow. Deck to spout is 8”. Deck to top of unit is 9-5/8”. 3/8” IPS shank, with 3/8” tubing, sweat fitting.